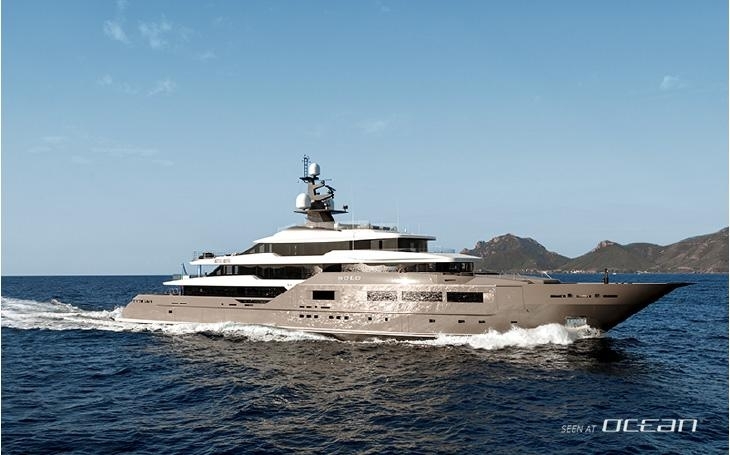 Young and ambitious superyacht shipyard TANKOA launched 72m SOLO luxury motor yacht for charter following the success of SUERTE launched in 2015, and VERTIGE launched 2017. 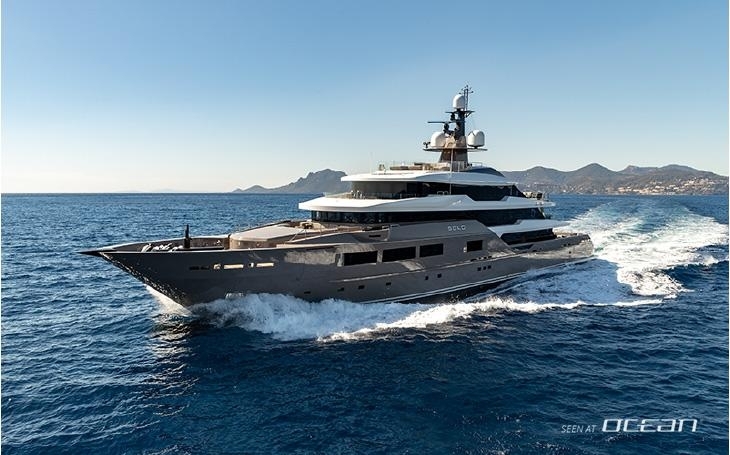 M/Y SOLO 72m for charter is preparing for her maiden voyage from Genoa to the Caribbean showcasing a refined design of charter yacht SUERTE. 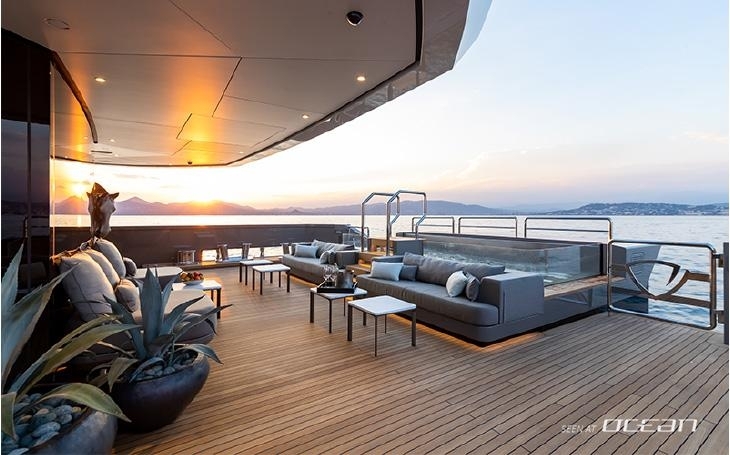 As a matter of course, the same acclaimed designer teams were appointed to style TANKOA's SOLO: Francesco Paszkowski for exteriors and Margherita Caspirini responsible for interiors. 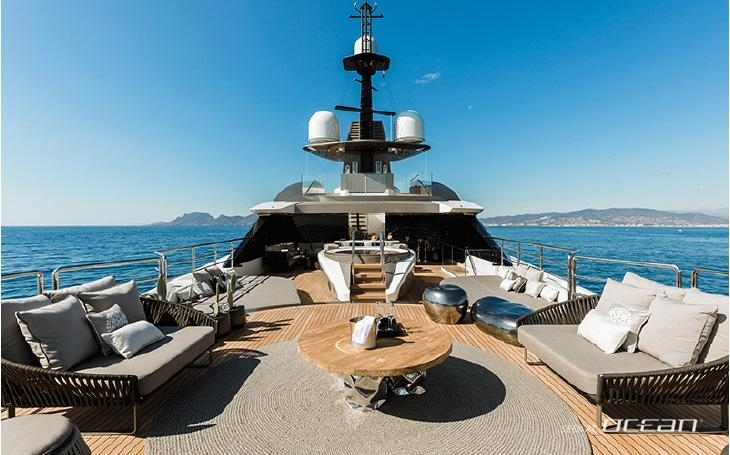 Charter yacht SOLO needed to be the most efficient Tankoa yacht ever built so that a lot of attention has been paid to the naval architecture. A forward-thinking technical team of Professor Ruggiero managed to cram some impressive technical features into the 1.600 GT of volume available. 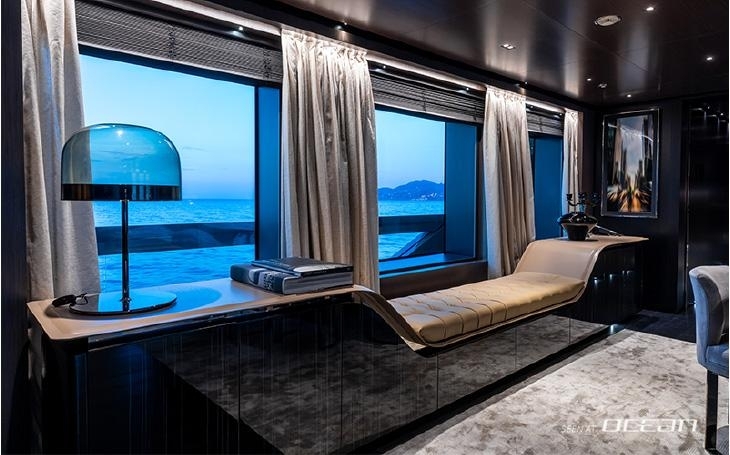 Charter yacht SOLO scores with a spacious master suite being a real oasis putting privacy to the fore. 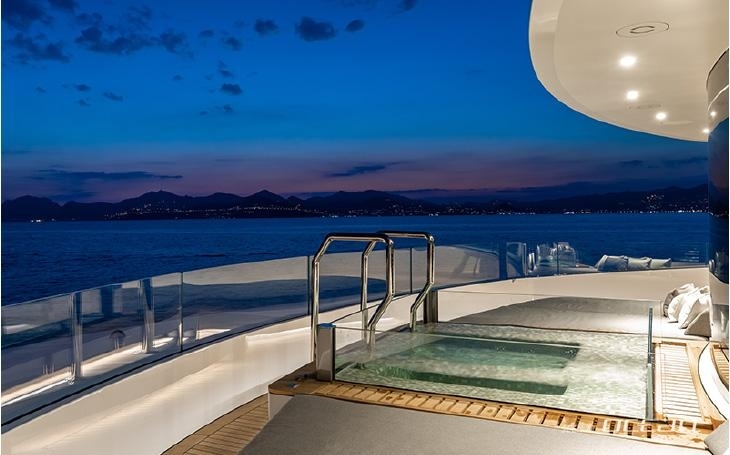 Located on the flydeck this apartment has access to the spa pool with mosaic tiles, the touch-and-go helipad, the private media and office room aft as well to the forward sun lounging area. Floor-to-ceiling windows, as well as generous skylights, bathe the interior in plenty of natural light. The guest cabins have the same design approach calling for a modern style without compromises to delivering a warm and welcoming ambiance. The materials chosen by designer Margherita Caspirini blends special sauna woods from 300-year Norwegian wood farms as well as medieval Finnish panels, onyx, marble with satin finish, high-gloss Macassar ebony...just awe-inspiring, simply beautiful and timeless. 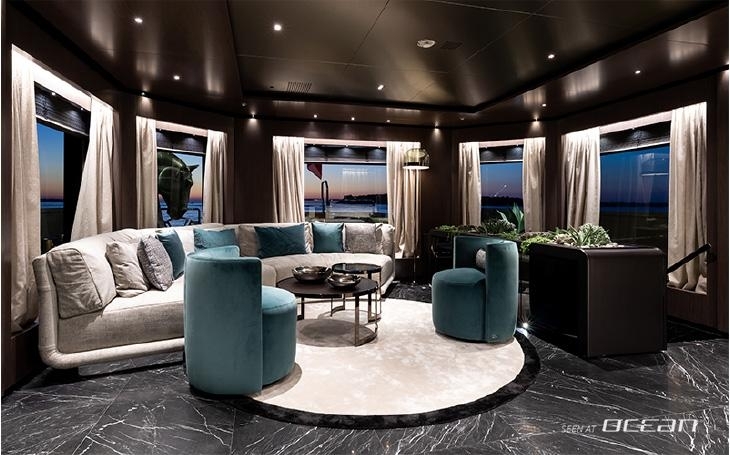 And even the interior delivers darker tones, the atmosphere is lit by use of vibrant color accents, creative artwork and pastel-shaded furnishings throughout the yacht. 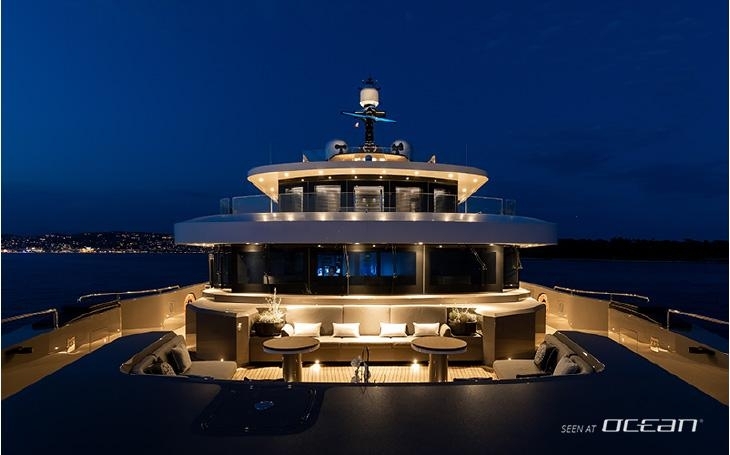 As a matter of course, a modern superyacht like SOLO is well-appointed with intelligent LED lighting to create the right mood in each area. 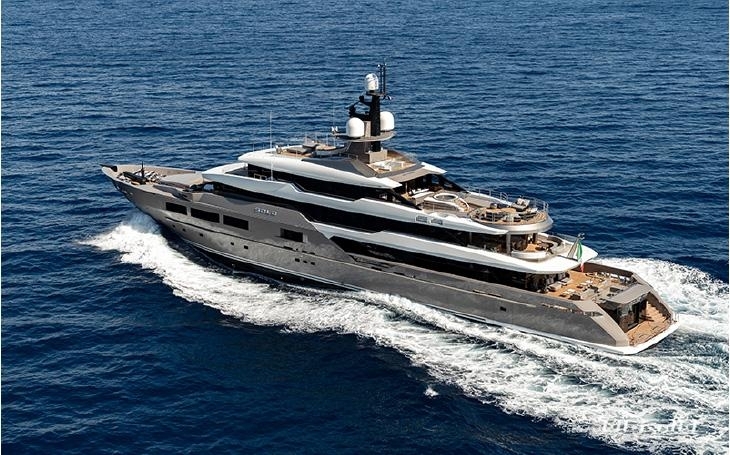 Tankoa SOLO is a superyacht and as a matter of course, this beauty comes with a nice aft featuring a beach club at sea level. 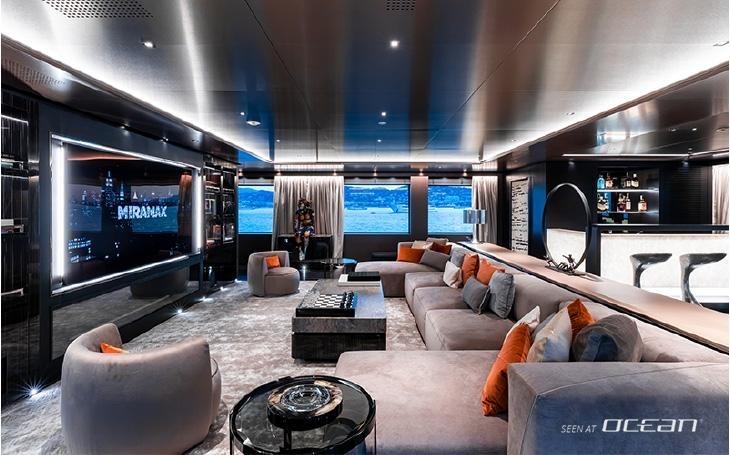 Fully-equipped being a watersports center, a stylish welcoming area for boarding or leaving the yacht or a hideout area that can either be opened up or closed off thanks to glass or blinds. 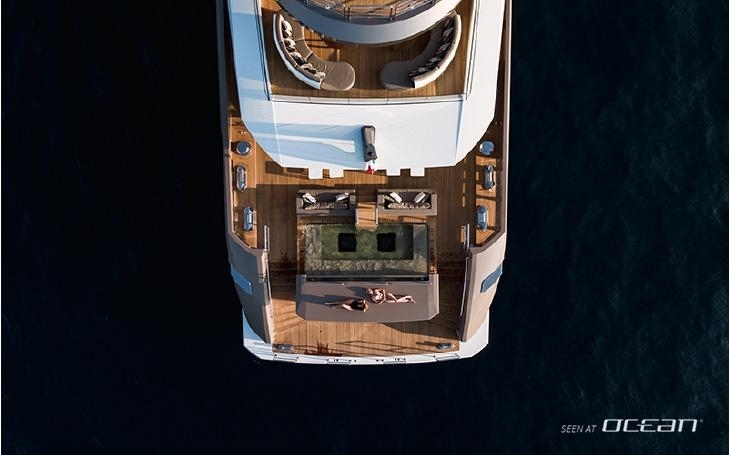 The beach club of SOLO 72m Tankoa yacht is adjacent to the TV lounge and bar as well as to the forward wellness and spa center. The latter boasts a gym with large windows as well as the spa area with sauna and hammam, both areas with own fold-out balconies. As one of the new key features of charter yacht SOLO is all about efficiency, this objective has been achieved by offering fuel-efficiency, the absence of vibration, low emission and silence with no compromises to performance. Instead of implementing still less proven hybrid technology Tankoa optimized conventional systems to an impressive level for a yacht of her size. Cruising at 10 knots economic cruising speed the fuel consumption is 195 ltr/h resulting in a range of 7.000 nautical miles making M/Y SOLO a true world cruising yacht ready to go anywhere and anytime. The greenest Tankoa ever built prevents black streaks on the hull thanks to special soot burners also saving guests if swimming in a cloud of smoke once on free anchorage. The captain always knows about optimum speed range in order to keep emissions as low as possible whilst a detailed Environmental Management Plan on board assists the rest of the crew and guests to minimize the impact to the oceans. 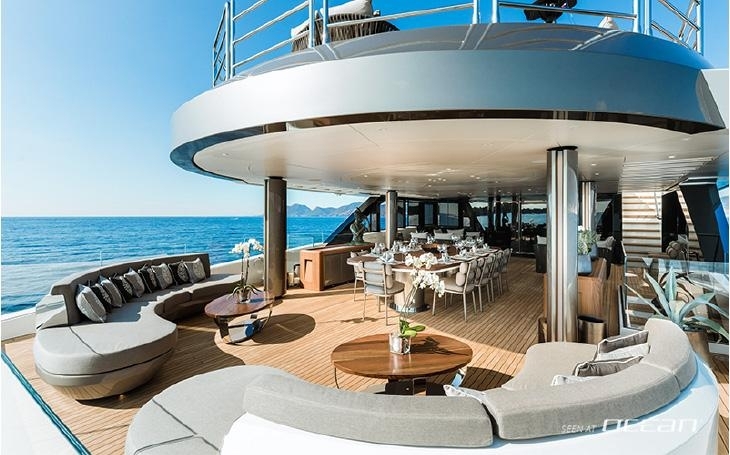 SOLO 72m is not just representing the flagship of Tankoa, it's a showcased exemplary of a green superyacht of today, an Italian luxury motor yacht with undeniable allure and a striking design begging to be noticed, a yacht with an interior guests on board will love to indulge in. Contact us for more information on SOLO Tankoa yacht for charter. Range at 16 Knots 3.000 n.m. 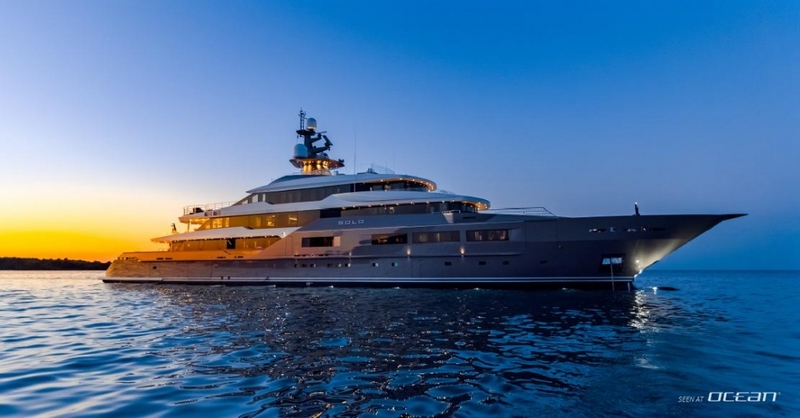 Images and video credit Tankoa shipyard, Italy.